As prescribed conservative treatment or as post-surgical care, rehabilitative therapy plays an important role in the successful recovery from an injury or condition. Ortho Illinois Rehabilitation offers an on-site outpatient, orthopedic therapy clinic that specializes in physical, occupational, hand, and work rehabilitation therapy. We are committed to the highest standard of therapeutic care utilizing a collaborative and integrated multi-disciplinary approach. 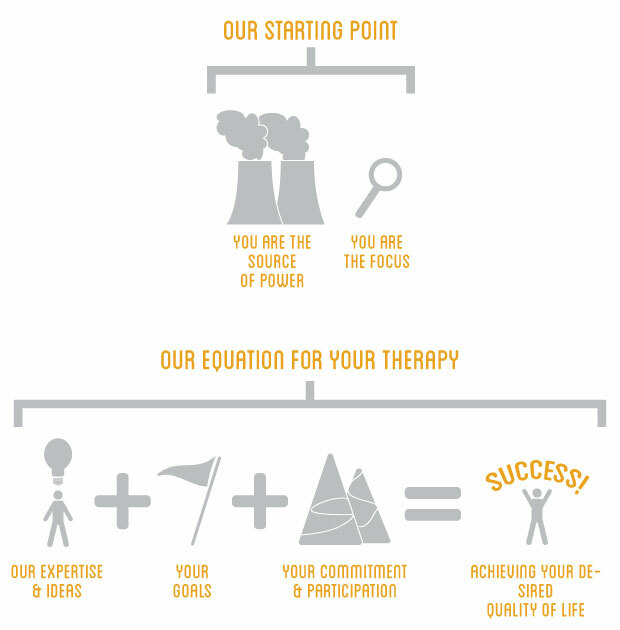 We design customized therapy programs that include a combination of manual techniques and therapeutic exercise to ensure the right program for you. Our model is patient-centric. You’re at the core of what we do. We have a patient-centric model of care that places you and your treatment plan at the core of what we do. Your plan of care is a combination of your therapist’s expertise combined with your individual goals, commitment, and participation. Simply put, your treatment plan is like a road map that shows you how to navigate the rehabilitation process to effectively alleviate pain and achieve the quality of life you enjoy the most. 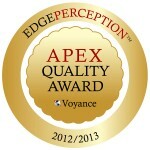 We strive for excellent care, and sometimes, it’s recognized. 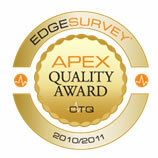 Ortho Illinois’ Rehabilitation has been named an Apex Quality Award Winner for Healthcare Excellence by CTQ Solutions for the fourth year in a row. 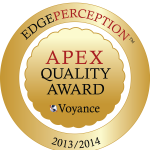 Rehabilitation named APEX winner 2014. 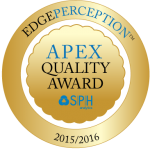 APEX is a clinical benchmarking arm of the Physician Hospitals of America and a CMS-certified HCAHPS vendor of integrated patient satisfaction surveying. We work as a team of specialists to help you achieve your goal. The Physical Therapists at Ortho Illinois Rehabilitation are trained in the advanced rehabilitation of the upper and lower extremities as well as the spine. Our physical therapists specialize in both conservative and post-surgical management of all orthopedic conditions including: sports injuries, work injuries, cumulative trauma, fractures, rotator cuff rupture/repair, total joint replacement and hip resurfacing. Our physical therapists will work with you as a team to provide the best quality care and to achieve your desired results. Physical therapy treatments may include: therapeutic exercise, manual therapy, soft tissue mobilization, ASTYM, electrical stimulation, ultrasound, iontophoresis, traction, dry needling, taping, hot packs, and cold packs. Have questions? Give us a call at 815-484-6990.